Author: Sheets, Dutch. Title: Becoming Who You Are. We aim to be helpful and flexible.andnbsp;. Binding: Paperback / softback. Publication year: 2010. Country of origin: United States. De Zoektocht van een witte heks. Author: Phyllis Curott. Phyllis Curott examines the power of magic to summon love. The magic of love is a love story where spirituality, wicca spells, and eroticism play a big role. Title:-How to Pray for Lost Loved Ones (Life Points). Author:-Dutch Sheets(Author). Genre:-Religion & Spirituality, Christianity, Christian Living. Title:-Releasing the Prophetic Destiny of a Nation. Publisher:-Destiny Image Publishers. Author:-Sheets, Dutch. Author:-Sheets, Dutch. Title:-God's Timing for Your Life. Genre:-Religion, Christianity, Christian Living. Title:-Prayers That Outwit the Enemy. Author:-Dutch Sheets (Foreword), Chuck D Pierce(Author), Rebecca Wagner Sytsema (Author). Author:-Dutch Sheets(Author), William L Ford (Author). Title:-History Makers. Title:-Prophetic Intercession. 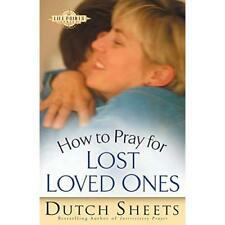 Author:-Dutch Sheets (Foreword), Barbara Wentroble(Author). Hebrew Reading and Writing: Self Taught by Fern S. Margolis 9780759672468 (Paperback, 2003) Delivery UK delivery is usually within 7 to 9 working days. International delivery varies by country, please see the Wordery store help page for details. Author:-Dutch Sheets (Foreword), Quin Sherrer(Author), Ruthanne Garlock (Author). Title:-Een Waaier Van Gedachten Over Geloven - Bibliography of Published Works by Hendrik M. Vroom. Author:-Van Keulen Dirk (Author).